The City Council of Cleveland is siding with the billionaire against the people it represents in an outrageous $200 million corporate-welfare stadium scam. 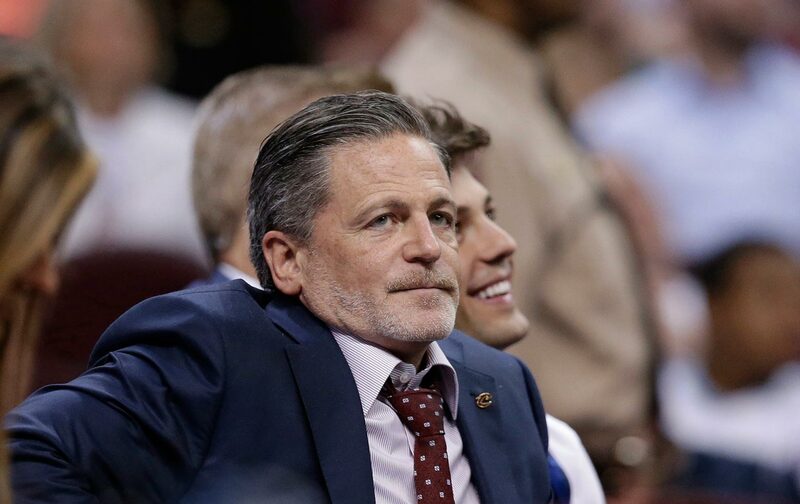 “Subprime” Dan Gilbert, the owner of the Cleveland Cavaliers, has always been a grifter at heart. He became billionaire-rich through his predatory mortgage company, Quicken Loans. Gilbert was recently at the White House, crashing the Chicago Cubs World Series visit, to breathe the air of his friend Donald Trump. In Cleveland, Trump might be the only public figure held in lower esteem than Dan Gilbert, who has squandered the good will earned from his team’s 2016 NBA championship by firing general manager David Griffin, lowballing possible replacement Chauncey Billups, and all but ensuring that the great LeBron James finds somewhere else to play when his contract ends in 2018. When this happens, it will mark the second time that Gilbert has, through his own egotism, forced out the greatest athlete to come from Ohio since Jesse Owens. Twice destroying LeBron-led championship-caliber teams is a hell of a legacy, yet not the worst of Gilbert’s crimes this calendar year. Like the president he admires, Gilbert is so arrogant and petty that he feels immune to the public’s disdain. How else to explain why he is currently fleecing Cuyahoga County and the City of Cleveland for anywhere between $140 million and $200 million—depending upon whose accounting you believe—to refurbish the home of the Cavaliers, Quicken Loans Arena? Gilbert’s representatives went to the county and city councils with promises that the money will be partially paid back with funds generated not from regular-season revenue but from playoff revenues to be earned until 2023. Yes, they are promising six more years of playoff appearances in return for starving the cash-strapped county and city of desperately needed public funds. From a basketball standpoint, this is a joke, especially if, as expected, LeBron bolts the mismanaged team after next year. From the perspective of the county and city councils, banking the financial health of your city on whether the local hoops team makes the playoffs is a farcical obscenity. Gilbert’s accountants, appearing before the county council, claimed that they will cover any shortfalls if these playoff projections fail to materialize, but, as Sam Allard broke down mercilessly for the Cleveland Scene, “The Cavs lie, repeatedly and shamelessly” about what will be covered, as well as the positive economic impact of the Quicken Loans facelift. It all reminds me of the words of then–New York City Mayor Rudolph Giuliani, who was asked why he wouldn’t put stadium-funding referendums on the ballot and said that the problem with stadium referendums is that people won’t vote for them. Make no mistake about what is happening here. This is stadium construction as substitute for anything resembling an urban policy for the people of Cleveland. It is an act of corporate welfare, where public money magically becomes private profit for Dan Gilbert. It is crooked Trumponomics, the people’s funds flowing up to one of Trump’s most slavish billionaire backers. It is the politics of predatory lending—slumlord politics—bereft of democracy or morality. Here’s hoping that LeBron himself—who has said that he wants to speak out more about political and social issues—takes a close look at what the boss he despises is trying to do to the people of Cleveland and raises needed objections. If only Dan Gilbert had a jersey to burn.